We have been working with granite countertops in Mooresville, NC for approximately 22 years and are committed to quality workmanship. Granite countertops contain a rich beauty that few other countertop materials can match. Additionally, granite countertops are extremely durable and can resist the effects of daily wear and tear for decades. For all of these reasons and many more, it is not surprising that granite is one of the most popular countertop materials today. If you are a general contractor, homebuilder, remodeler, or homeowner in need of a granite countertop supplier and installer, turn to us at . We are known throughout the Mooresville, North Carolina area for our ability to precisely fabricate and install granite countertops in kitchens and bathrooms. We have been working with granite countertops for approximately 22 years and are committed to quality workmanship. When you work with us, we will fabricate your granite countertops according to the exact specifications of your remodeling or construction project and then install them in the home in a professional, timely manner. 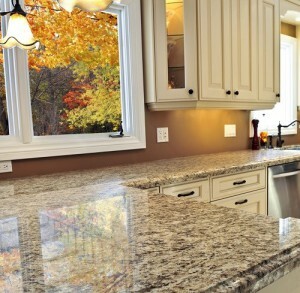 We also guarantee all of our work and offer competitive pricing on the granite countertops we fabricate and install. Our goal is to make sure that enhancing your construction or remodeling project with stunning granite countertops is a seamless, beneficial process. At , we would be more than happy to show you some pictures of the granite countertops we’ve installed and introduce you to our wide selection of available countertop materials. Contact us today to schedule a time to visit our showroom or to find out more about why you should make us your countertop fabrication and installation partner.